In 2010 a few wineries went kosher, including Flam Winery and Tulip Winery. 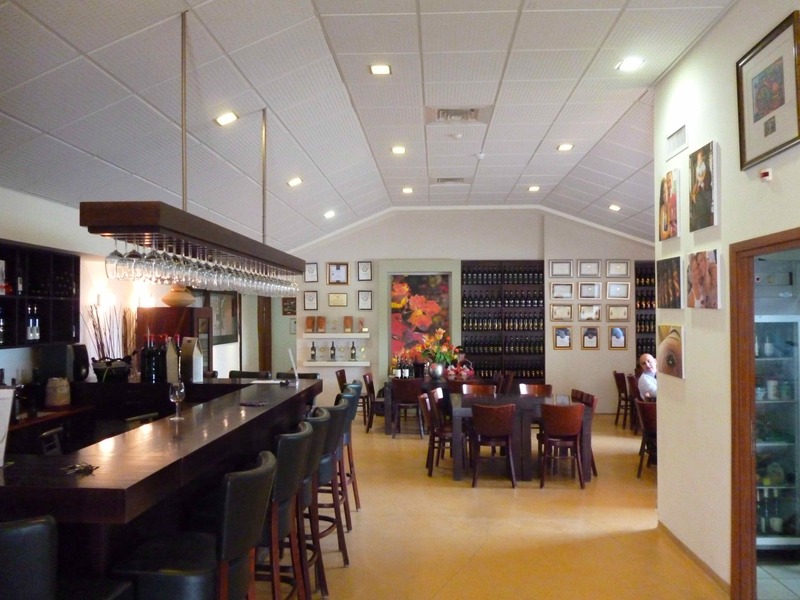 I already wrote about the Flam Winery before here and again recently here, but now I am getting the chance to write the story of the Tulip Winery that is rightfully deserves. 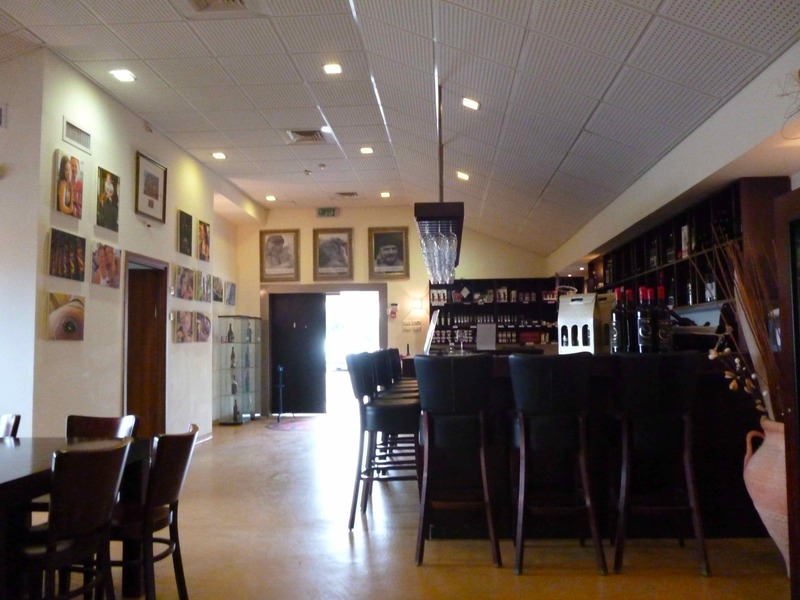 The tulip winery is a very different beast, a winery that was built in and around a city of disabled individuals and one that takes its advocacy for disabled citizens of Israel quite seriously. I wrote initially about the winery here, but I will take a bit more time to talk about them now, in this space. 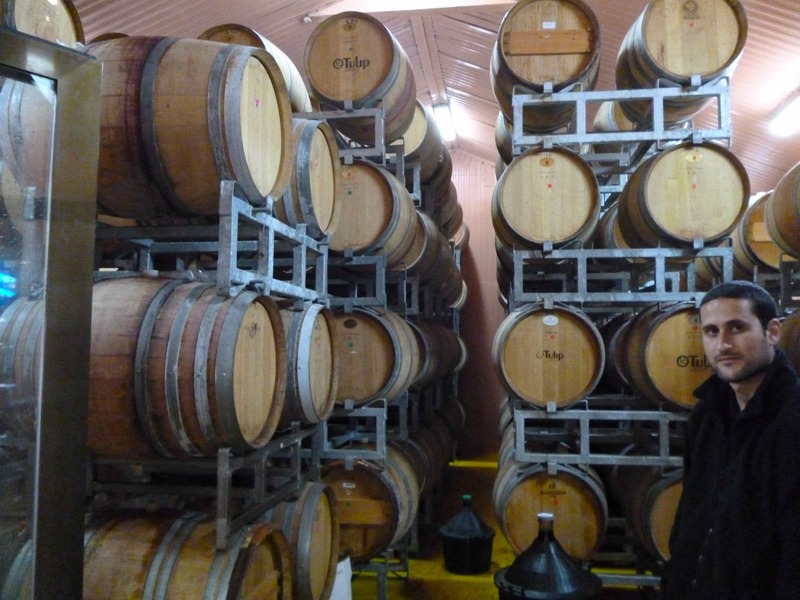 Until 2010, Roy Itzhaki, the CEO of Tulip winery would often say that he was the biggest non-kosher winery in Israel. But, not entirely by his own choice. The issue other than having supervision, in this case was the fact that many of the inhabitants of Kfar Tikvah (City of Hope), which is a city for teaching its inhabitants skills to interact with the world around them, work at the winery. Kosher supervision has some issues around disabled people working around wine, for many technical and complicated reasons. That said, in 2010, after YEARS of working hard to make his dual desires a reality, Itzhaki finally succeeded in convincing a kosher supervision that he can make things work. The kosher supervision world is one that is not too fast to take on hard challenges and changes. Still, Itzhaki did not give up and after 20 organizations came and left, they all said the same thing, fire the disabled employees or we cannot help you. Finally, according Deborah Raub, from JNS.org, in an article on Tulip Winery, Itzhaki ran into a Rabbi Chazkal and things changed very quickly. Itzhaki was not going to undermine the very reason for his winery’s existence in Kfar Tikvah, nor was he going to undermine the work and conviction he showed by hiring 30 of its inhabitants to work in his winery. Still, the real reality of business was staring him in the face. He could not continue to produce wine at the scale he was at and not sell them in a kosher wine store, supermarket, or abroad. He had to find a way out of the conundrum, and the rest of the story is the kind of thing that makes me proud of being a Jew! Reading the story, it was clear that Rabbi Chazkal and Rabbi Vozner were the Chachamim here. Rabbi Chazkal knew that every supervisory organization was not going to take a chance and go out on the limb. Rather they would use the classic hacksaw approach to pruning a rose, way over the top. What was required here was a very precision and tactical approach, something that had not been done before, and something that no organization would do on its own, Rabbi Chazkal knew that the only real answer is to go to a man that had the strength of conviction and Torah and knowledge, that NO ONE would doubt, and let Itzhaki prove his conviction to the man and than if it is meant to be, it will happen. As Raub continues in her wonderfully written article, Rabbi Chazkal returned to the winery and with great precision, protocol, and care, and came up with an approach that would allow for the winery to continue to employ the inhabitants of Kfar Tikvah, as the real separation of wine from those who are not religious (as many of the disabled employees are not), is the only real concern. So 75% of the work can continue to be done by the disabled of Kfar Tikvah while the parts where the wine is in direct contact of the worker, would be done by religious employees. As stated before, I visited Tulip Winery during my most recent trip to Israel, and I met with the lovely and talented Or Ben-Avi. She is the marketing manager and tasting room manager and the person who runs Tulip’s very successful fan page. I recommend you “Like it” and maybe you will become the winery’s fan of the week! Anyway, when I was there I got a chance to taste all the wines from the Tulip Winery, including many of the reserve wines that were not yet released. That is why I was so excited to see them at the wine tasting. The wines are all awesome excepting for the sweet toothed 2010 Tulip Cabernet Sauvignon, reserve, which was a bit too far over the top for me. The shocking thing is that VERY same wine, tasted no more than two months ago, tasted drastically different than I tasted at the winery. The rest of the wines tasted exactly like I remember and the notes I have, but the Cab reserve in Israel did not have a sweet tooth and was richer and more controlled, a phenomenon and issue I have been seeing with imported Israeli wines – a shame. When I met with Or, I asked her about the winery’s name and what was its etymology? Ben-Avi explained that Itzhaki’s mother likes tulips, and the flower is so lovely, and she thought the word would be far better than the Itzhaki winery! Wow, only a mother can be so honest and helpful in a single sentence. 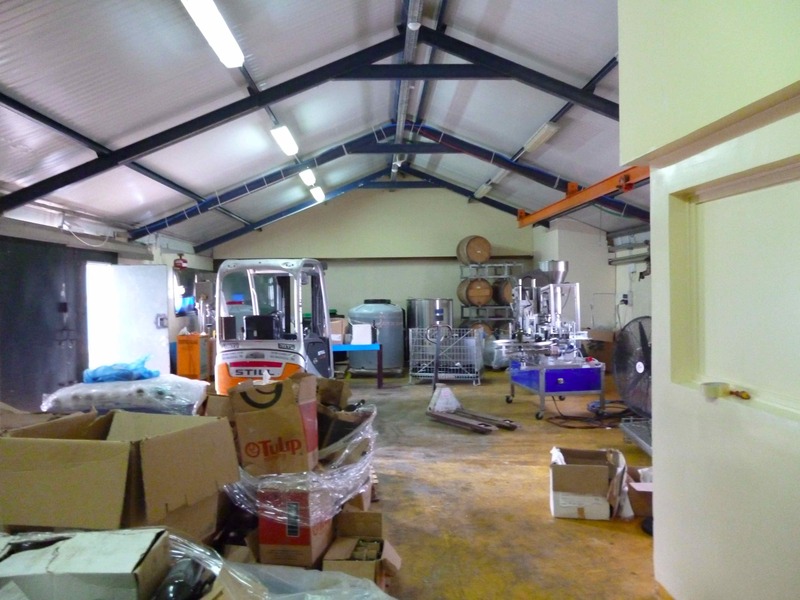 The 10-year-old winery has been growing slowly, and since 2010 they have almost doubled in size from 100K to 200K bottles! Roy grew up in a wine infatuated family, makes me feel right at home, taking trips all over the world and turning vacations into wine trips all at the same time. Itzhaki grew up with the wine mentality and after going to a wine show, he decided that he was going to strike out on his own, but only if he could integrate it into the working society of Kfar Tikvah, as he grew up not far from the location and was taken by their honesty and hard work. Itzhaki was busy when I was at the winery, so it was great catching up with him in NY for a bit, though he did swing by the table as I was leaving when I was in Israel. He explained to me that the winery was built with three clear objectives: get the best technology, winemaker, and vineyards to make the best wine, QPR (Quality to price ratio), and to employ as many of the Kfar Tikvah residents as possible. The winery sources its grapes from vineyards it has all around Israel. They get grapes from Tzuba and Matta in the Judean Hills. They get grapes from Kfar Yuval, Alma, Kerem Ben Zimra, and Tzivon in the North. 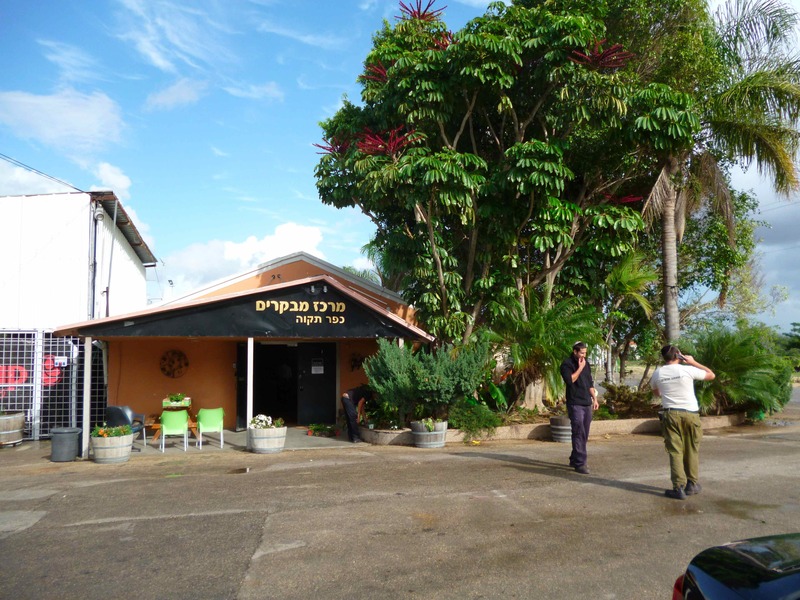 The Tzivon winery is organic. Overall they have 200 dunam of vineyards throughout Israel, in some of the most prized and cherished locations within the Israeli wine regions. My many thanks to Or and Itzhaki and the rest of the winery for taking the time to sit with me and share their wines! The wine was aged in barrels for 6 to 8 months and controlled in many ways. The nose starts with earthy notes, eucalyptus, raspberry, roasted herb, nice spice, pepper, and cinnamon. The medium bodied wine has a lovely richness and roundness along with a nice attack of red and black fruit, currant, plum, black cherry, along with nice integrated tannin and spice. The finish is long and spicy, with more crushed and roasted herb, mineral, slate, and graphite. The wine was aged in barrels fro 8 months and shows in a controlled manner as well. The nose explodes with rich currant, nice herb, graphite, mineral, black cherry, and lovely mint. The mouth is medium plus in weight with blackberry, blackcurrant, rich plum, more roasted herb, with a rich, layered, and round mouth, along with lovely cedar, and nice mouth coating tannin. The finish is long and spicy, with eucalyptus, pepper, vanilla, light chocolate, cloves, and all spice – very nice. The wine is a blend of 85% Cabernet Franc and 15% Merlot and the fruit is sourced from the famed Judean Hills matta vineyards (some of the best Cabernet Franc is sourced from that location). The nose is classically styled with green bell pepper, ripe raspberry, plum, graphite, floral hints, and rich earthy dirt. The mouth is crazy rich for a Cabernet Franc, with layers of concentrated fruit, ripe blackberry, plum, black cherry, along with sweet cedar, rising tannins all coming together into a plush and mouth coating wine. The finish is long and tobacco filled with more nice tannin, bitter herb, nice lingering mineral and graphite, along with leafy tobacco. This wine was aged for 15 months in barrels and the oak clearly makes an appearance. This wine may only be mostly Shiraz, but it is classically styled as Shiraz without a doubt. The nose is crazy with mounds of white and black pepper, blackberry notes, ripe and bright plum, great eucalyptus, lovely blueberry, and roasted herb. The mouth on this full bodied wine is an assault vehicle, with crazy ripe but controlled fruit, blackberry, cassis, plum, blackcurrant, all make an appearance with layers of spiced fruit, along with rising tannins, sweet cedar, ripe boysenberry, and very controlled but still fruit forward. The finish is has more crazy spice, along with nice acid, rich chocolate, slate, graphite, and mineral, all wrapped in a vanilla and almost saline cocoon – BRAVO!! The wine was aged in oak barrels for 18 months and is a blend of 90% Cabernet Sauvignon, 5% Petite Verdot, and 5% Cabernet Franc. The nose starts off with lovely toasty notes, roasted espresso, herb, along with a bowl of roasted nuts, massive graphite notes, and raspberry. The mouth on this full bodied wine is layered, massive, and bone dry, with almost drying tannin, ripe blackberry, cassis, rich mouth coating tannins, along with concentrated and focused almost candied fruit, all layered with nice sweet cedar, and more mineral. The finish is long and heavy with spice, bakers chocolate, vanilla, soft tanned leather, and herb that lingers long. I must admit I am truly perplexed in regards to this wine. The wine was awesome in Israel, very Cali in nature, sweet but controlled. When I tasted it again in NY at the KFWE it was a totally different wine. The wine at the KFWE was overly sweet for me, over the top and aggressive with its date and raisin fruit forward profile. So, as much as I would love to score this wine higher – the wine available here in the US, is not what I hope is available in Israel. The wine I tasted in Israel, truly reminded me of Cali Syrah, with watermelon, root beer, and bright ripe fruit. The wine was aged in oak for 18 months. The nose on this wine starts off with ripe blueberry, blackberry, ripe boysenberry, heavy rich spice, and root beer. The mouth is full bodied, crazy rich layers of concentrated black and blue fruit, along with sweet cedar, watermelon, currant, and lovely cinnamon. The finish is long and spicy with blue fruit that lingers long, spice, cloves, nutmeg, espresso coffee, and tons of black and white pepper. Such a shame, the wine I described above is not what I tasted in NY. In NY all I got was overripe fruit, and crazy tannin – I hope the wine improves and proves me wrong. Posted on August 7, 2013, in Israel, Israeli Wine, Kosher Red Wine, Kosher Wine, Wine, Wine Tasting, Winery Visit and tagged Cabernet Franc, Cabernet Sauvignon, Just, Merlot, Mostly, Shiraz, Syrah, Tulip Winery. Bookmark the permalink. 4 Comments. Do you know what the run is on the Just Cabernet 2011? I have a few bottles and I want to know if they will improve? I just had the 2010 Just Cab over Purim, and it was nice and mellow, I give it another year at best, start drinking up now.